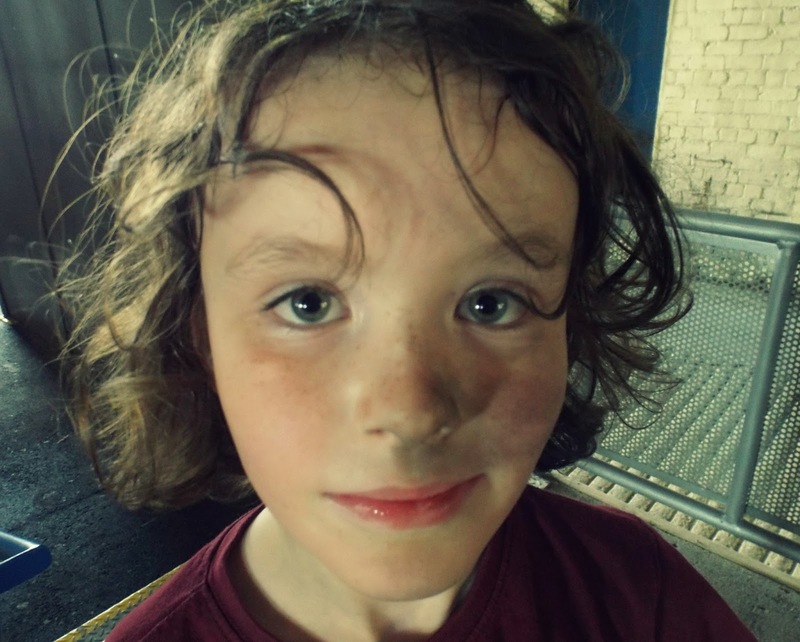 As part of the eternal quest to find something entertaining to fill the school summer holidays, you might be forgiven for thinking I have taken leave of my senses, ignored all pertinent health and safety guidelines and introduced the offspring to the local scrapyard as their new playground. 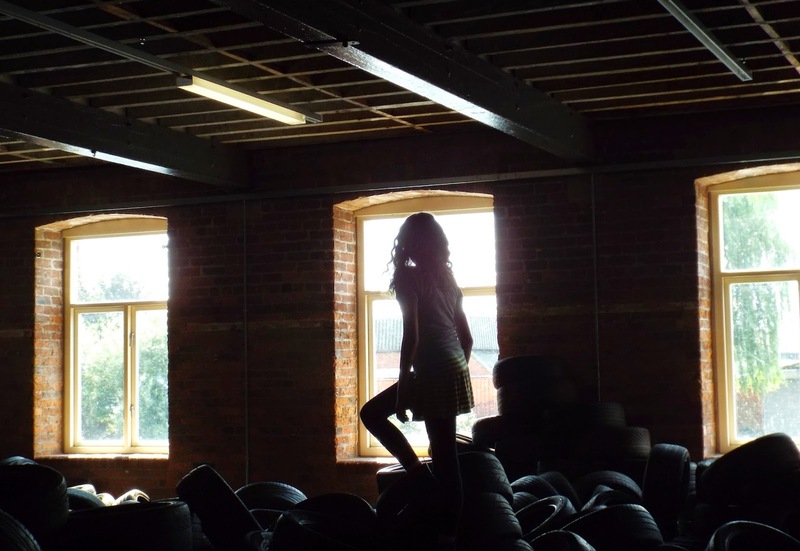 Instead we went to visit the latest art installation/ exhibition at The Calder, part of The Hepworth, Wakefield. 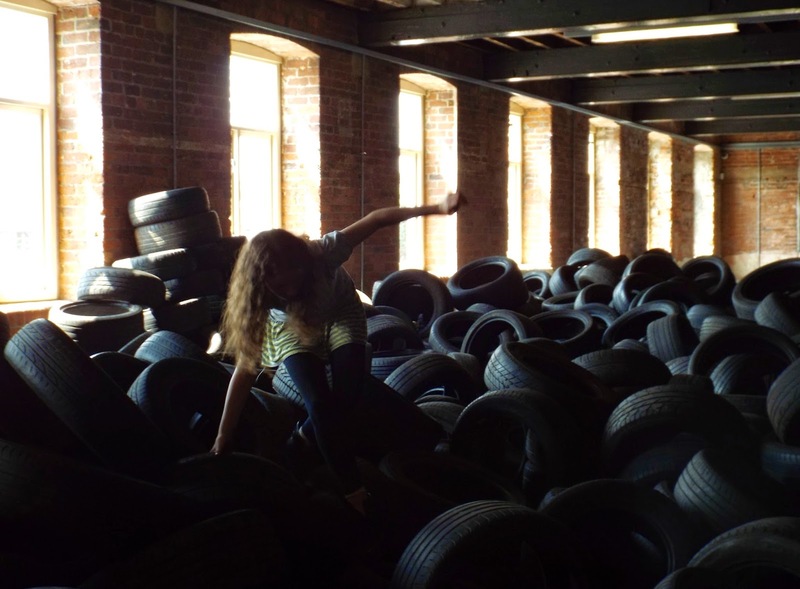 YARD 1961/2014 is the work of American artist Allan Kaprow and until August 31, The Calder is hosting the first re-invention of the iconic YARD environment in the UK. 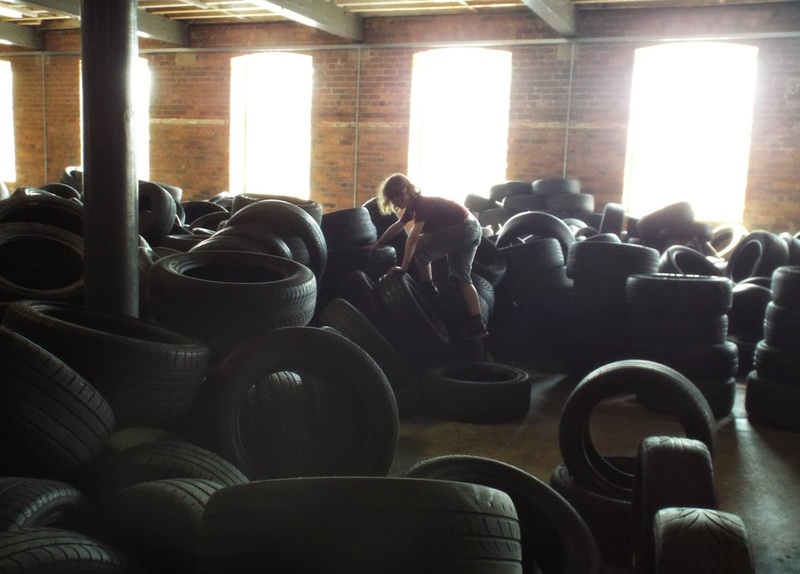 Public participation is absolutely encouraged and visitors are invited to involve themselves by climbing on, through and in piles and piles, and piles, of tyres. After having read and signed the safety guidelines of course, obviously. 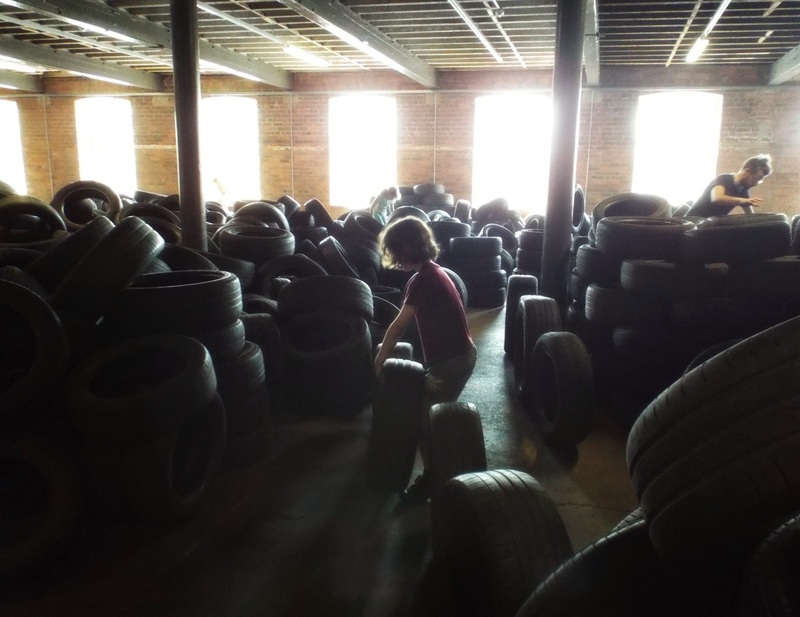 The tyres, all of which are proper (locally sourced, though not necessarily from a scrapyard) tyres, are all are proper grubby too so if you're thinking of exploring this iconic piece of the 1961 New York art scene, I'd take a damp flannel and some old clothes. 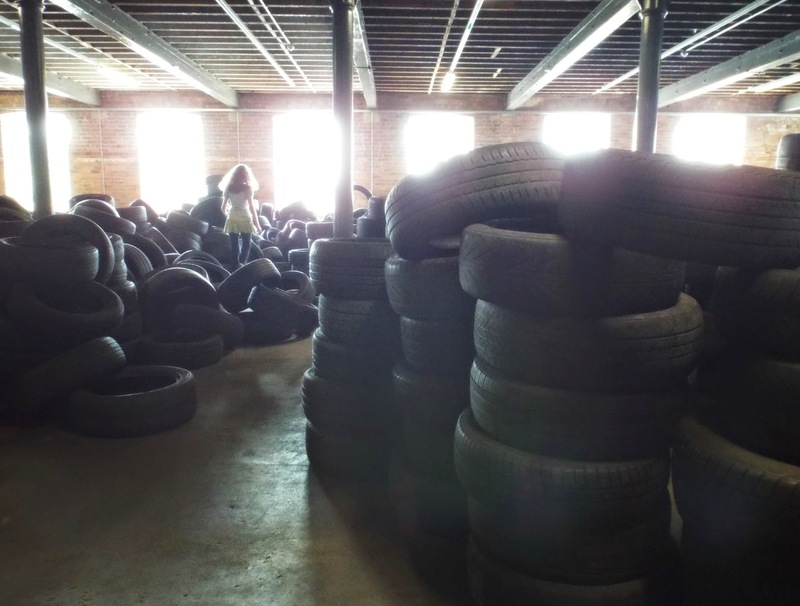 Allan Kaprow's YARD 1961-2014 is at The Calder, Wakefield, until August 31st. Admission is free. 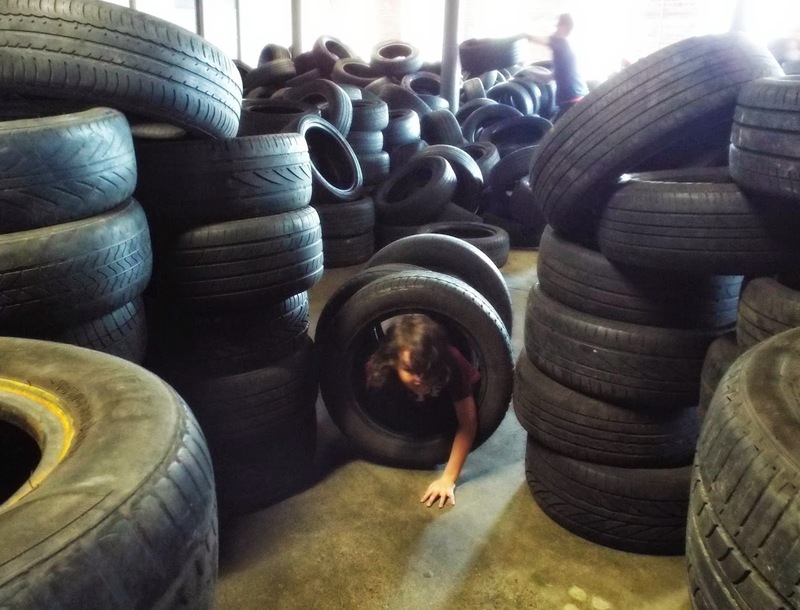 Wow, this looks like so much fun; I'm so jealous! Much more fun than a normal park!